ZIMBABWE – Government has sealed the acquisition of a controlling 60 percent stake in Telecel Zimbabwe from the firm’s parent company Vimpelcom Ltd. The strategic move, which comes amid intense speculation that the Government has opened discussions with China Telecom Corporation Limited and Unitel Angola over a possible management deal for Telecel, follows protracted discussions between the Government and Telecel shareholders over its licence and indigenisation compliance requirements. China Telecom is the largest fixed-line service and the third largest mobile telecommunication provider in the Asian country. The firm in September signed a Memorandum of Understanding with the Ministry of Information Communication Technology, Postal and Courier Services to consult on ICT projects. “It’s possible, the conclusion of the transactions opens doors for Government to engage with China Telecom over a management contract for Telecel as they have a MoU on ICT projects,” said a well-placed source, adding that Unitel Angola, which had initially made a bid for the 60 percent was engaging Government. Well-placed sources told The Herald that Government could soon own the entire shareholding in the mobile network operator, as the other 40 percent shareholders, The Empowerment Corporation, has expressed an intention to dispose of its stake. In a statement yesterday, Amsterdam-headquartered Vimpelcom announced that its 51.9 percent owned subsidiary, Global Telecom Holding S.A.E., has entered into an agreement with ZARNet (Private) Limited to sell its stake in Telecel International Limited for $40 million. 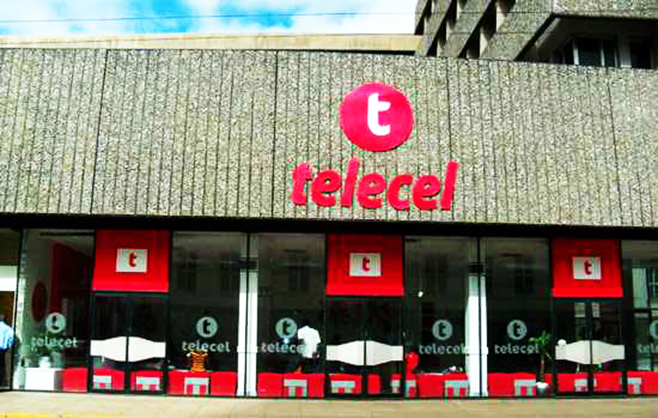 “Telecel International owns 60 percent of Telecel Zimbabwe Ltd. Transfer of ownership to ZARNet will occur after customary conditions are satisfied,” said the group. Vimpelcom had earlier expressed concern over how they were under pressure to sell and how Telecel was an isolated entity in a company which was focused on the Euro-Asia market. ZARNet is wholly-owned by the Government through the Ministry of ICT. ICT Minister Supa Mandiwanzira confirmed that the sale of Telecel had been concluded and immediately said it was the Government’s intention to run it as a business, downplaying any plans of a merger with the other state-owned mobile network operator NetOne. “However the issue will be discussed with the advisors. Government is also in the throes of revitalising operations at the state owned NetOne, which recently went on an all-out drive to recruit a new vibrant senior management team. Government has renewed its focus on the performance of key parastatals such as NetOne, Tel One and others amid indications that performance at many parastatals has been below par over the years. TelOne and POSB and IDBZ are the only parastatals that are on record as having paid dividends to the Government in the last few years.